CSTAR is the HRB Centre for Support and Training in Analysis and Research. It specialises in the biostatistical and methodological areas of health research, both quantitative and qualitative. These consultancy services are already being provided by the UL Statistical Consulting Unit (SCU) to HSE Mid-West/West and Southern Staff and these arrangements will be extended through CSTAR. The SCU is already involved in various research projects in collaboration with the HSE. As part of CSTAR it will also perform and increase its own research with a blend of methodological and collaborative projects. Supported by the Health Research Board and with consultancy units in the University of Limerick and University College Dublin, CSTAR offers a consultancy and training service to individuals, institutions and companies carrying out health research in Ireland. These services can be provided on a one-to-one consultation basis or workshop/training courses can be arranged. Dr Jean Saunders is the Manager of CSTAR@UL as well as the Director of the Statistical Consulting Unit. She is also a member of the Board of Directors and the management group of CSTAR which have regular meetings. Dr Saunders oversees the consultancy advice given by the UL centre and designs/delivers the educational components. Collaborators on the UL site include Mr. Aidan Hickey (Director NIHS,HSE MidWest). 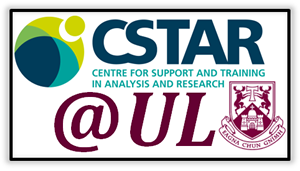 All health researchers can access expert advice through the CSTAR centre at UL. For specific consultancy advice, initial contact will be by telephone/email. The first contact will always be an experienced consultant. A support person will respond within one day, with further contacts as required. The Limerick centre can provide face-to-face consultations and 'Drop-In' clinics will be held twice a month. 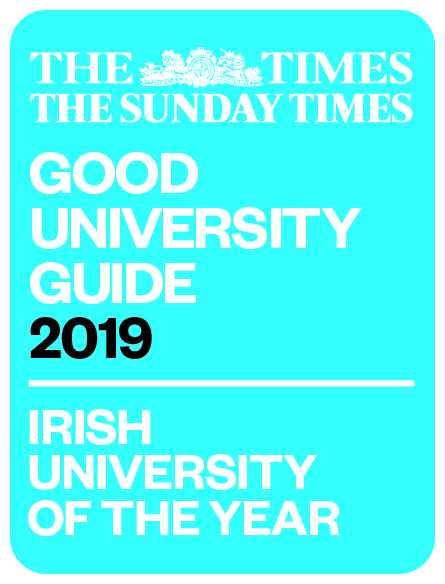 Regular courses ranging from half-day duration to a one-week Summer School type structure will be organised by UL CSTAR and courses will be delivered from the UL centre nationally if there is demand. E-Learning will also be available for these courses where appropriate (See main SCU webpage for details of courses presently offered).